We know that column charts are excellent for presenting information. But what if some of the columns are too tall and hijacking the rest. In a previous article, we discussed few of the approaches. 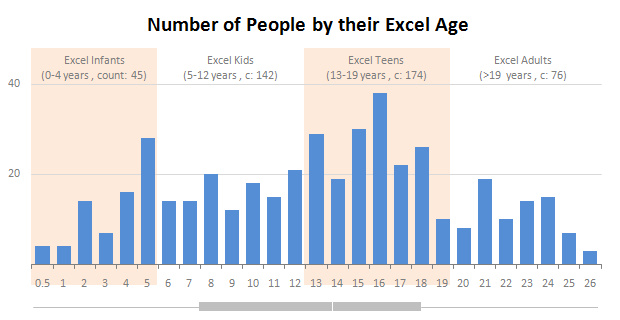 Today let’s learn how to build a cropped chart (broken y-axis chart) using Excel, something like above. 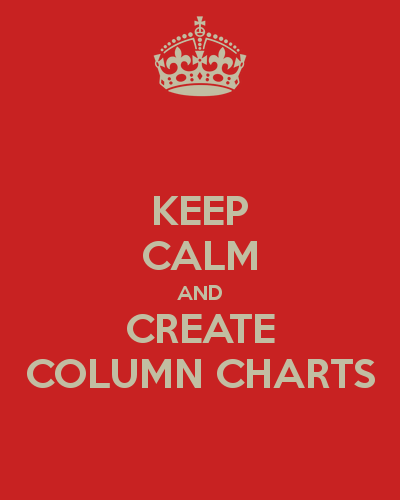 In the 32nd session of Chandoo.org podcast, let’s make legendary column charts. Column charts are everywhere. As analysts, we are expected to create flawless, strikingly beautiful & insightful column charts all the time. 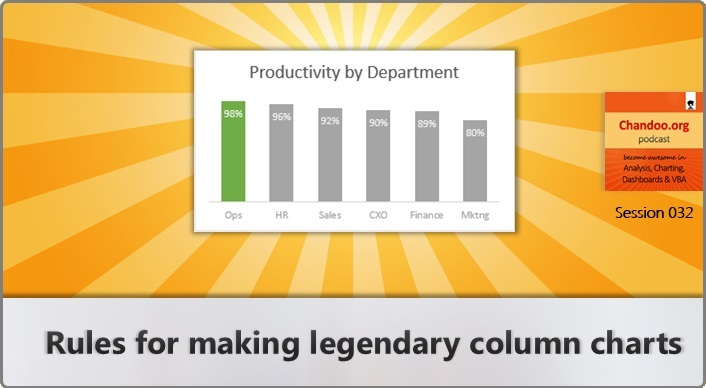 Do you know the simple rules that can help you create legendary column charts? And you want to highlight the fact that commissions are growing faster than revenues. 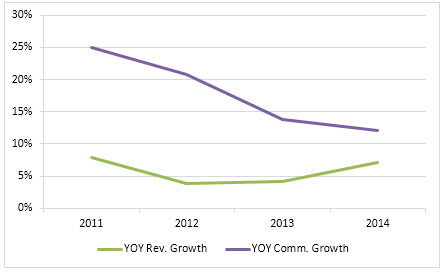 So you plot YoY growth rates for revenues & commissions. How to convey the message “Commission growth is a problem for us”? Bar & Column charts are very useful for comparison. Here is a little trick that can enhance them even more. Lets say you are looking at sales of various products in a column chart. And you want to know how sales of a given product compare with a lower bound (last year sales) and an upper bound (competition benchmark). By adding these boundary markers, your chart instantly becomes even more meaningful. 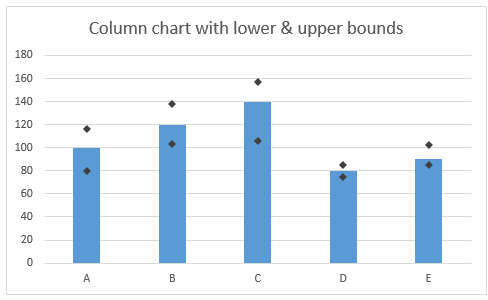 Lets learn how to create a column chart with lower & upper bounds in this tutorial. For every column chart that is done right, there are a dozen that get messed up. 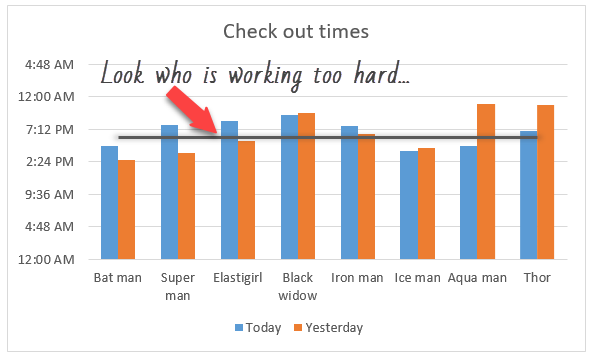 That is why lets talk about 5 simple rules for making awesome column charts. Tip: Same rules apply for bar charts too. 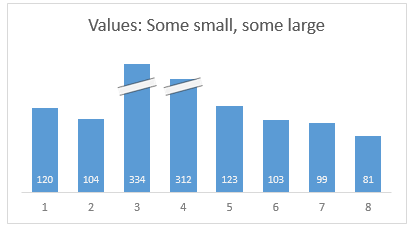 How to create a column chart with background image in Excel ? 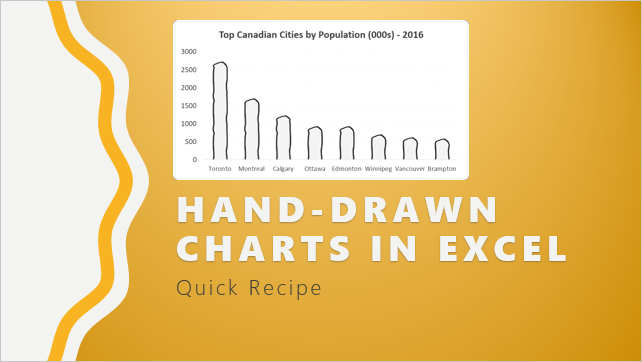 Tony sends this chart and asks if it can be done in Excel. It sounded like a good challenge for a lazy Sunday morning. So here we go. (Posting it on Monday). Now I could not get an oil rig photo or that data. 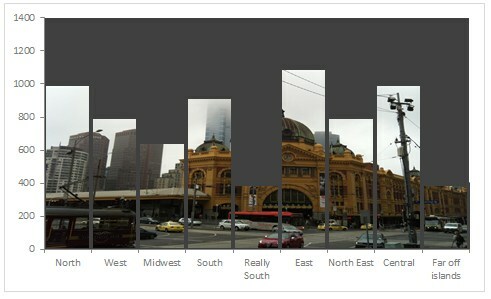 So I made up few numbers and used a photo of Flinders street station I took when I was in Melbourne last year. 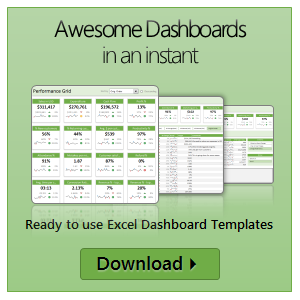 Finally, I got some time to sit down and do what I love most – write a blog post to make you awesome in Excel. After a whirlwind trip to Sydney, I am back in India to spend few days with my kids & wife before rushing to Australia to run 2nd leg of my training programs (in Perth, Melbourne & Brisbane). I did 2 sessions in Sydney – one for KPMG and other for public and both went very well. We got lots of positive feedback and people really loved it. 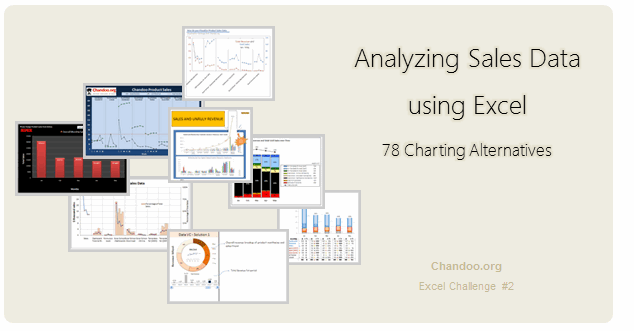 I am saving the details for another post, but today lets talk about Interactive Sales Chart using Excel. First, take a look at interactive sales chart. Today, you will learn how to build this using Excel.